Get ready for the winter season by learning about some of the most common furnace problems that homeowners see. 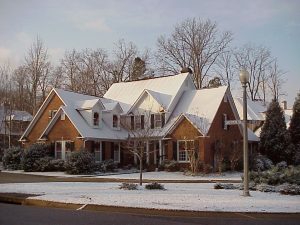 You will be able to evaluate a pressing problem fast and know when its time to call your Reidsville heating repair technician for expert help. Power supply issues is the first thing you should check for when you first encounter a heating problem. If you have gas heat, check whether the pilot light is lit and if not, relight it. If you are not comfortable relighting it, you can call Carolina Fuels in Eden, NC to relight it for you. If it will not light, there may be a gas supply issue. If you own an electric heater, make sure that the wiring has not come loose. If any components have a power cord, check to be sure it is plugged in. Check your home’s power supply box to see if the circuit that supplies electricity to your furnace has tripped. An issue with your thermostat could also be the cause of a heating malfunction. If you own a programmable unit, you may have accidentally mixed up weekdays and weekends while programming, making for a cold Saturday morning. Another problem may be with the heat sensor inside thermostat. If the sensor fails, the furnace can not operate properly. Buildup of dust or loose wires within the thermostat may affect its functionality too. Obstructions may also be hindering your heating system. If you notice that some rooms are cold while others are at a comfortable temperature, your first step should be checking the heat registers. Make sure the vents are open and clear of furniture, rugs, drapes and clothing in the areas that you want to heat. If a vent is still not blowing warm air when the furnace is on, there is a possible obstruction in the ductwork and you should call for a professional to help. If the overall airflow from your furnace seems weaker than normal, take a look at your air filter. A dirty and dusty filter deters the flow of warm air. Be sure to check it every month during the heating season and replace it when it becomes dirty. If your furnace makes weird noises, this is a cause for concern. If you hear a squealing sound when your furnace kicks on, that may be due to a worn-out fan motor or belt. Do not try to fix this on your own, a professional is better equipped to handle this problem. A rattling noise may be caused by a cracked heat exchanger. This is the chamber where your furnace burns fuel to convert it into heat energy. If the unit is cracked, it could leak carbon monoxide fumes into your home. Something should be done ASAP for this issue because it could endanger your family. Some homeowners learn over time how to diagnose heating problems. However, taking a more proactive approach with regular maintenance and repairs keeps your heater running longer. A heater repair expert from Carolina Fuels will be happy to answer any questions you have about heater repairs or emergency furnace repairs. We offer free estimates and are available 24 hours for emergencies in the Reidsville, Eden, Brown Summit, Mayodan and Rockingham County areas. Give us a call at 336-623-9741 today.